Gov. John Hickenlooper speaks to a packed lecture hall at the Colorado Mountain College campus in Edwards on Friday. He is making similar stops around the state to talk to constituents about business in Colorado. EDWARDS — Colorado Gov. John Hickenlooper kicked off his drive to revitalize the state’s economy in the Vail Valley the day after he was sworn into office in 2011. Three years on, he returned to provide a report on the successes of that effort — and do a bit of low-key campaigning, too. Speaking to a nearly-full lecture hall at Colorado Mountain College’s Edwards campus, Hickenlooper banged out a bit of boogie-woogie using the piano in the room before getting down to business. He talked about the benefits of simply getting people together — the initial goal of the “Colorado Blueprint” effort. The idea was to talk about economic revitalization at the county, then regional, then state levels. 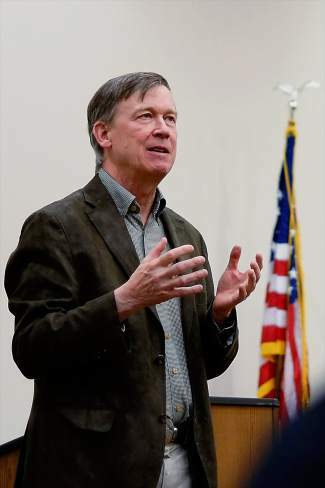 And while economic life varies dramatically between Julesburg and Cortez — towns in the northeast and southwest corners of Colorado — Hickenlooper said some common themes emerged throughout the state. Those include the common desire to attract, retain and grow businesses; the eagerness to be pro-business while still maintaining high environmental and ethical standards; and access to capital. Another goal is providing people across the state with access to policy makers in Denver. Hickenlooper said it was those relationships — handshakes at local or regional meetings that led to phone calls and emails later — that ultimately resulted in the recent news that Ardent Mills, a joint project between agribusiness giants Cargill and Con-Agra, would put its corporate headquarters in the Denver area. “What creates value is people working together on a common vision,” Hickenlooper said. Aside from a bit of subtle campaigning — a quick story about prodding the Colorado Department of Transportation to open the roads to Estes Park by Dec. 1, the progress of the state’s Obamacare efforts and a few facts about a controversial gun-control law passed this past year — the governor also fielded questions from an audience made up of business representatives, government employees and elected officials. Hickenlooper replied that a lot of work is being done but that funding for projects remains scarce. Responding to a question from Glenwood Springs resident and business owner Barbara Fillipone about logistics of moving merchandise across the country, Hickenlooper said the state is poised to become a bigger exporter in the next few years. After the meeting, Gypsum resident Ted Archibeque, a surveyor, talked to the governor about use of unmanned aircraft for surveying work. “It was great to have him here,” Archibeque said. Archibeque was part of the original regional group in 2011, and said a lot of progress has been made in those years. 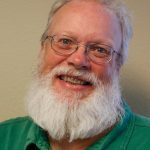 Chris Romer, president of the Vail Valley Partnership, the regional chamber of commerce, said perhaps the biggest benefit from those regional meetings is access. He said the Vail Board of Realtors will soon meet with a Denver expert about corporate relocation.